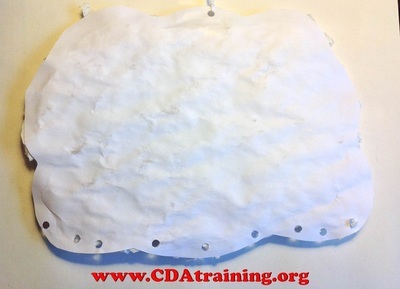 Cut a large cloud shape from white construction paper. tear several pieces of tissue into small shreds. 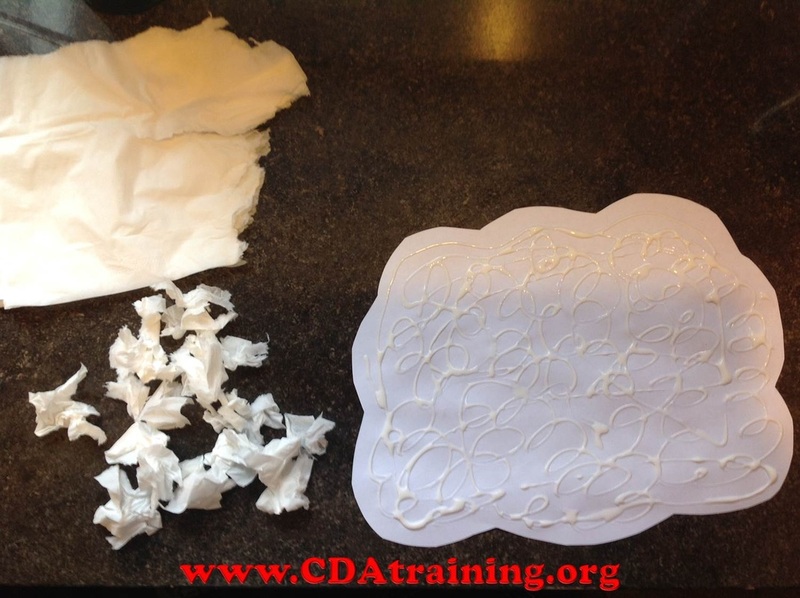 Cover the cloud shape in glue and cover the cloud in bits of tissue. Allow the cloud to dry. Once dry, use hole punch to puncture a hole at the top of the cloud (for hanging), and several holes in the bottom of the cloud for hanging. We chose to hang 9 threads from the bottom of our cloud, you may add more or less depending on your preference. 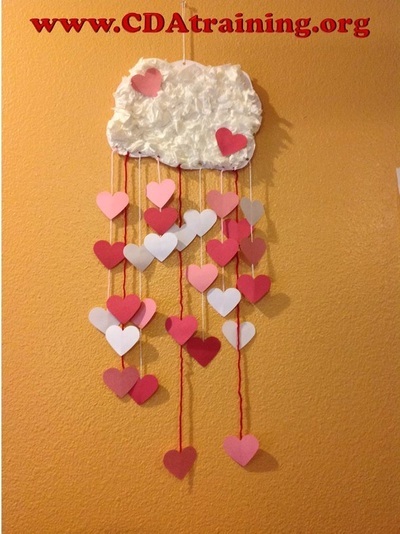 Now take your pink, white, and red construction paper and cut several heart shapes for hanging. 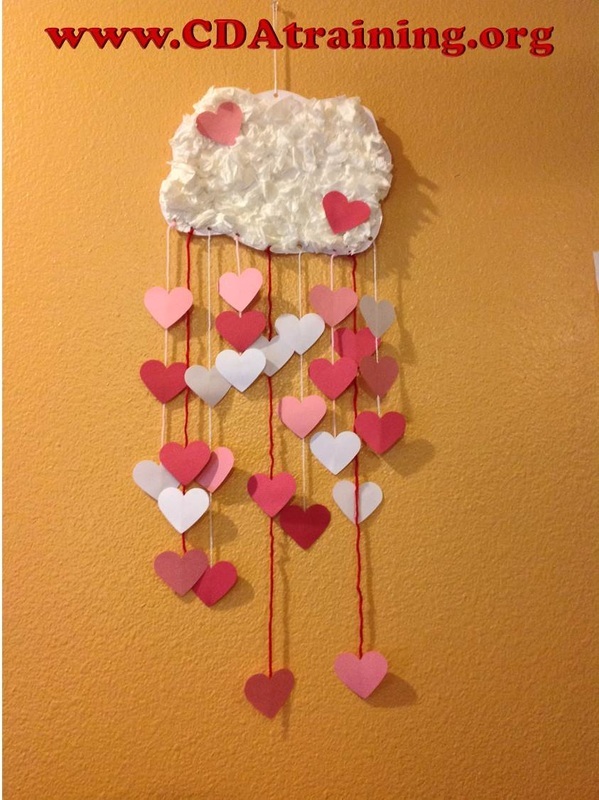 We chose to hang 3 hearts from each of our 9 threads, you may add more or less depending on your preference. Cut your red, white and pink yarn into varying lengths. Now glue your hearts at different locations on each of your threads. Allow to dry. Once dry, hang from your cloud, as desired. 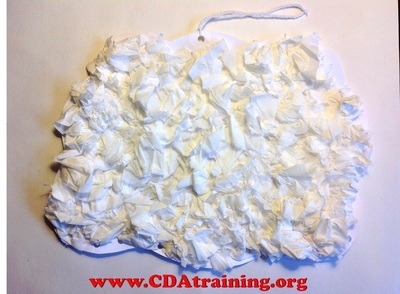 Take a 6" piece of yarn and attach it to the top hole for easy hanging.